RADIO IMAGING, - more than EIGHT OUT OF TEN AMERICANS feel LISTENING TO COMMERCIALS IN EXCHANGE FOR FREE RADIO IS A �FAIR DEAL�. Thus, radio advertising can be an effective, low-cost medium through which a BUSINESS CAN REACH THEIR TARGET CONSUMER. Studies show that RADIO IMAGING when combined either pre or post commercial CONNECTS THE LISTENER WITH THE PRODUCT AND creates EMOTIONAL REACTIONS IN LISTENERS. In turn, consumers perceive this as more relevant to them personally, which can lead to INCREASED MARKET AWARENESS for the station, and SALES FOR THE BUSINESSES running ad schedules on those stations. Twenty-five percent of listeners say they�re MORE INTERESTED IN A PRODUCT OR BUSINESS when they HEAR ABOUT IT ON THEIR PREFERRED RADIO STATION. 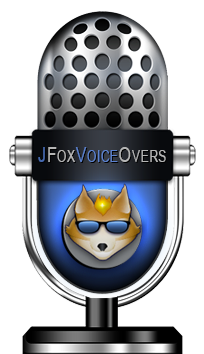 JFOXVOICEOVERS.COM can provide radio imaging for EVERY FORMAT from HARD HITTING NEWS, SPORTS, TALK RADIO, AND ROCK stations, to the lighter more EASY LISTENING AND JAZZY RADIO, - plus we are experts when it comes to the OLDIES AND BEACHY TYPE FORMATS! 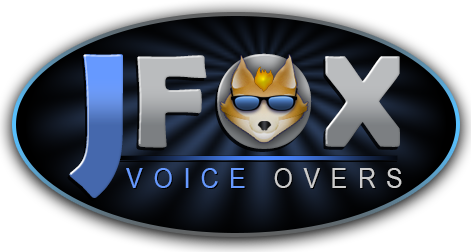 We provide YOUR FINISHED TALK RADIO IMAGING PACKAGE in .mp3, .wav or .aif delivered by email, FTP or a direct downloadable link. CHECK OUT OUR DEMOS then give us a call so we can help you INCREASE YOUR MARKET AWARENESS!